FORT BELVOIR, Va. (Oct. 24, 2018)—You could run a mile in flip-flops, but you’d be much faster if you ran in running shoes. Likewise, you can probably do your job without reading the latest issue of Army DACM Newsletter, but you’ll do it so much better once you’ve read it. 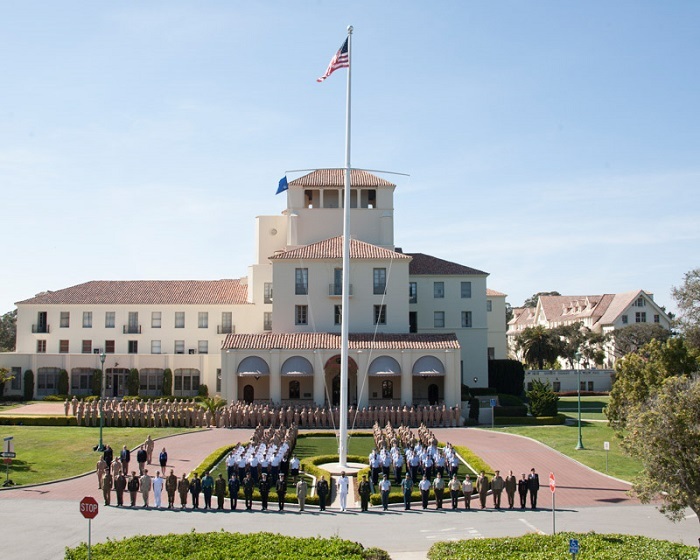 Posted earlier today, the October issue features updates on Defense Acquisition University (DAU) curriculum changes and a Q&A from Shannon Potter on the importance of getting your DAU training. Greg Brewer, Meghan Dodge and Ron Frailer have put together a primer on how to use the U.S. Army Military Decision-Making Process to get a “yes” on your next ask. And we shine a spotlight on three Army Acquisition Workforce members—Kathy Lytle, Lt. Col. Thomas Monaghan Jr. and Chad Stocker—to find out how DAU’s Senior Service College Fellowship and the Acquisition Pre-Command Course affected their careers as product directors and managers. Lastly, we run down the resources you can access to keep your career moving in the right direction. Take a few minutes to read it—and start the new fiscal year off on the right foot. 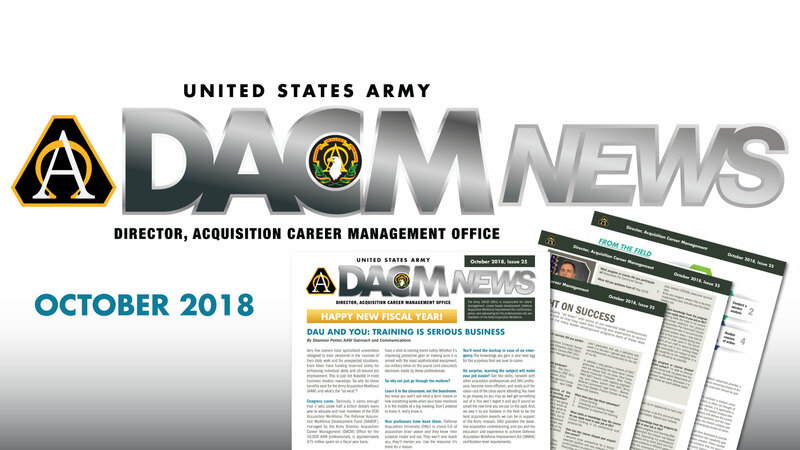 Go to https://asc.army.mil/web/dacm-newsletter/ to download the latest issue.